We know just how stressful can organizing a private dinner be! That’s why we’re here for. Apart from our large and glamorous hall suitable for a gathering of up to 120 people, our restaurant is equipped with a smaller private dinning room which can take up to 20 people. So it’s perfect for family lunches, private business meetings or small parties with your loved ones. Whatever you choose to be suitable! If you decide to come to our place, we will be more than happy to host you and your guests. Of course, we will make sure everything goes as you planned. Therefore, you will have the opportunity to pick the decor: flowers, table decorations. We can even discuss music during the meal if you wish to have any. Refectory also offers filming and photo services. Make sure your memories stay with you forever, but it’s always a bit easier if you can have them on tape! The room is perfect for a gathering of 8 to 20 people. If your party is for fewer people than 8, we will make sure you feel as cozy as possible by adjusting the furniture and filling up the space. You can choose any of the specialties of the daily menu (depending on what time of the day are you coming). If you have some special wishes and preferences, just let us know on time so we can prepare it for you! If the weather conditions let us, we would be glad to host your private party on the back terrace which has 20 seating places. If you decided to host a party in your home. Or you just need a hand for a family lunch going on? We are also offering catering services. You can get our pricing list and menu from the restaurant staff. But, about the food – we’re quite flexible and can make you almost whatever! 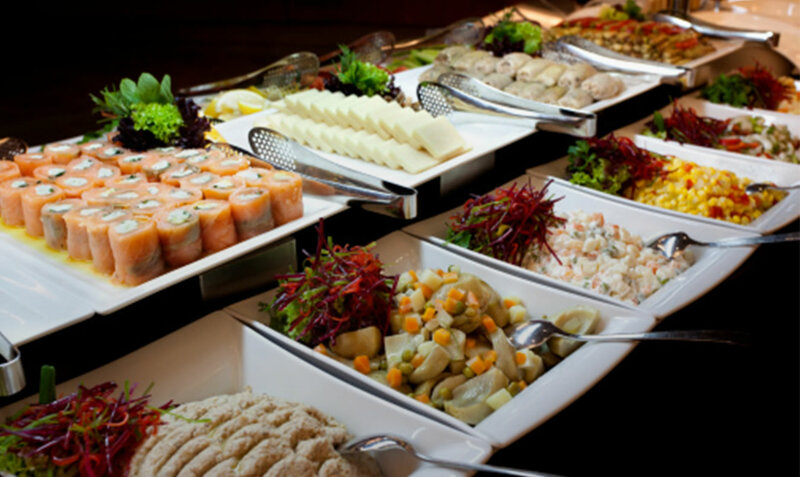 If you need some help with estimation about how much food do you need for a number of your guests – we’re here for you. Just bring the number of the people you’re having over (counting adults and children separately) and we will give you the approximate values for the party. There’s nothing we hate more than the waste of food. Especially when it’s the good food you’re wasting!